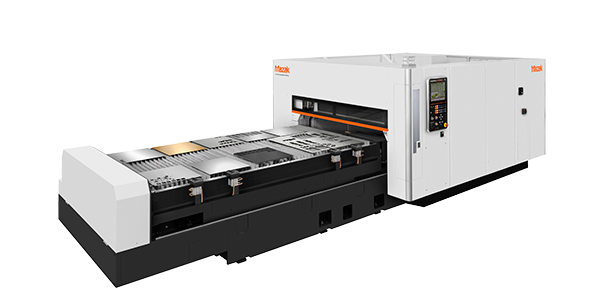 The new SUPER TURBO-X 3015 has been designed utilizing Mazak's proven hybrid platform with an easy access table. 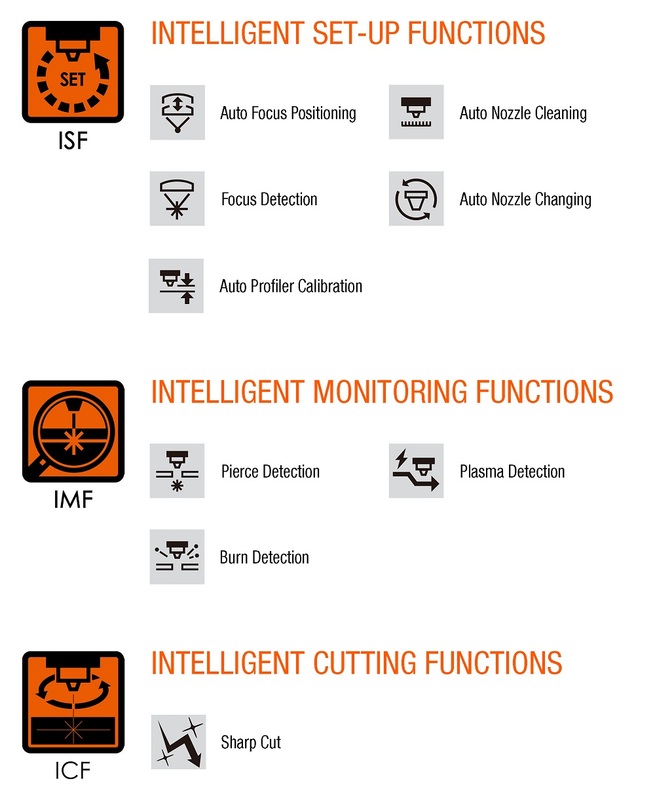 It features a proprietary vibration dampening frame and integrated laser resonator that ensure stable, high accuracy cutting. The constant-beam length construction provides uniform cutting performance across the machine table. The STX also incorporates a new Servo Focus Torch. This servo driven system significantly reduces piercing time and increases productivity. Additional new technology includes a High Accuracy Auto Centering Lens and Nozzle design that further reduces setup and increases productivity. 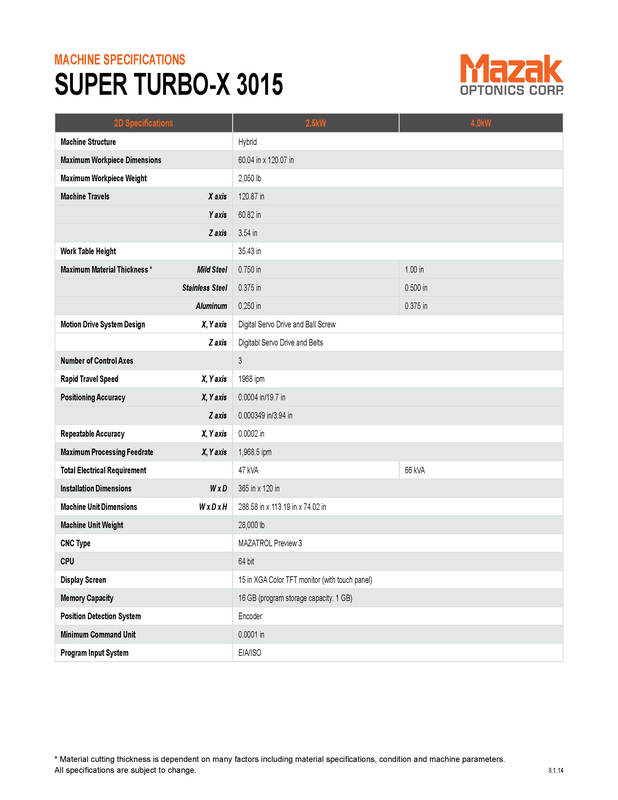 The SUPER TURBO-X is built on the industry's most reliable laser platform. It features a rugged hybrid design and is a laser production workhorse.